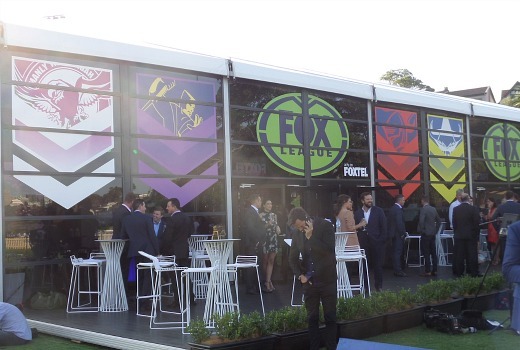 NRL veterans and current stars joined with Rugby League officials and media at Birchgrove Oval, Balmain, last night for the launch of the FOX League channel. The 24 / 7 NRL channel switches on February 20 on FOX Sports 502 with a long list of shows launching from February 27th. It promises every game of every round, plus every final in September Live, ad-break free during play and in HD. New channel host Yvonne Sampson told TV Tonight she was thrilled to be launching the channel at the spiritual birthplace of Rugby League in Australia. “This is where the first game was played, so it has significance for our code,” she said. “It was chosen not only as a touchstone to the past but it will be a beautiful place to launch Rugby League into the future. Sampson will appear on several shows, including the first all-female NRL panel, League Life with Hannah Hollis, Lara Pitt, Megan Barnard, Tara Rushton and Jess Yates. But she has plenty of experience in NRL. “I did regional Queensland (sports journalism) for about 10 years and was lucky enough to work on an NRL broadcast just after the London Olympics in 2012,” she recalls. Amongst her other duties will be Thursday Night Football, Super Saturdays and a wrap-up on Sunday with a post-mortem. Sampson was hired by FOX Sports Head of Television, Steve Crawley, who brought her over from Nine late last year. “There are some obvious differences. Free to Air has alas been the juggernaut that people gravitate to. But coming across to FOX, the biggest change is that these are all sports-minded people. It’s a whole network of people obsessed with sport. “Channel Nine has The Block, Married at First Sight and a lot of pieces to the puzzle,” she added. 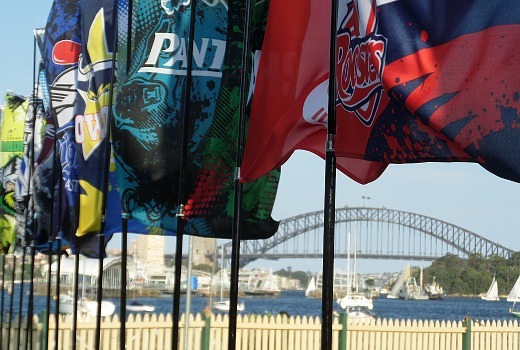 FOX Sports CEO, Patrick Delany, said: “This is a game changing day for NRL. We’ve listened to fans and responded to their desire to see their game celebrated and enshrined in a place all of its own. That new place is FOX League. We are going to make what is already awesome, more awesome! “We will share our love of the game with fans around the country delivering the best coverage to more fans, in more ways than ever before. “Your game, your team and now your channel. We will have double, triple, double live coverage from Friday to Sunday, plus the best Thursday night line-up kicking off the round’s action. 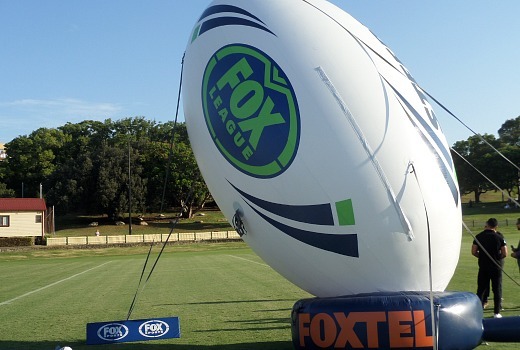 Head of Television, Steve Crawley, said: “FOX League will put Rugby League onto the world stage of sports broadcasting. It will be like no other and like nothing Australian sports fans have ever experienced. Other new faces joining the network, as it gears up for its biggest and best year ever, is recently retired Broncos great, Justin Hodges, former half-back star, Brett Finch and popular sports presenter Hannah Hollis. Fans will see more of Corey Parker and Mick Ennis plus hear from new match-day caller, Brenton Speed. Sharing play-by-play commentary duties with Speed is Warren Smith and Andrew Voss. Hodges, Parker and Sampson join Mal Meninga, Kevin Walters, Ben Ikin and Gorden Tallis to lead the strongest Queensland contingent ever assembled at FOX Sports. The Live on-field action starts earlier in the week this season, with the new Thursday night match hosted by Sampson, Johns and a bumper panel of experts weekly from 7.00pm EDT. Then it’s a Friday double-header, with the new 6pm match only on FOX League, before a massive Super Saturday Exclusive triple-header. FOX League will be the only place to watch both Sunday matches Live, wrapping up the weekend’s action. And it gets better. Across the week, six new magazine shows will keep fans entertained, informed and across all Rugby League’s big issues. There will be something for everyone – more fun and more debate, bringing fans even closer to the game they love. New to the FOX League Lab is the Whizz-kid, whose razor sharp brain and home-made algorithms correctly predicted 80 per cent of last season’s results. New additions to FOX Sports’ in-broadcast Augmented Reality, will see a new virtual tackle marker, keeping track of the tackle-count as well as showing subscribers exactly where it took place. And shedding new light on what was a recurring point of contention last year, a new virtual 10-metre line will make it clearer for fans to know when refs are getting it right. Foxsports.com.au will be the ultimate online destination with all the news, videos, stats and analysis plus the most comprehensive live Match Centres in the game plus NRL SuperCoach. Australia’s only dedicated 24/7 sports news channel, FOX Sports News 500 will have nightly dedicated bulletins with the return of NRL Tonight plus extensive league coverage across the day. Monday Night with Matty Johns returns in 2017 at the new, family-friendly time of 7.30pm. Matty Johns and his regular crew of Gorden Tallis, Bryan Fletcher, Nathan Hindmarsh and Lara Pitt will wrap up the round’s action with plenty of laughs along the way. From Monday to Wednesday, Ben Ikin and Paul Kent set the NRL agenda by dissecting all the big talking points impacting the game from every angle. Origin Coaches Laurie Daley and Kevin Walters combine for Coaches’ Night each Monday. Wests Tigers’ Aaron Woods, the Bulldogs’ James Graham and the Broncos’ Benji Marshall team up for Players’ Night on Tuesdays, while Billy Moore returns for Legends’ Night on Wednesdays. A collection of renowned Rugby League journalists, including Buzz Rothfield, Andrew Webster, Paul Crawley and Dean Ritchie will feature across the week to offer their take on the biggest news stories. League legend Peter Sterling is joined each week by NRL greats Corey Parker, Michael Ennis and Steve ‘Blocker’ Roach, plus NRL news- breaker James Hooper for On the Couch with Sterlo, at the new time of 7.30pm on Tuesday nights. Some of the biggest names in the game will join the team on the couch, plus Sterlo sits down with current and former players for insightful one-on-one interviews. League Life will see Yvonne Sampson, Lara Pitt, Jess Yates and Hannah Hollis combine for Australia’s first all-female sports panel show, League Life, each Wednesday night. The 30-minute program will deliver topical discussion and debate about the key issues and talking points along with stories from grass roots and those living the League Life. It’s going to be a lot of fun with some very different views on the game among the panel. By Queenslanders. For Queenslanders. This is the show all NRL fans in Queensland have been waiting for. Robert ‘Crash’ Craddock is joined by a rotating panel of Queensland Rugby League legends, including Mal Meninga, Kevin Walters, Gorden Tallis, Corey Parker and Justin Hodges for a special take on the NRL news. Tara Rushton and Braith Anasta combine to remember some of the greatest moments in NRL history each Thursday night on League 13-to-1. With a new theme each week, some of the biggest names in the game will join the duo to relive past glories and stories. Rugby League finds a new home on Thursday nights, with a blockbuster clash set to start the weekend early. Thursday Night League will launch the round, with host Yvonne Sampson combining with an expert panel to deliver the best discussion and analysis of the game each week. Some of the biggest names to have played the game, including Matty Johns, Mark Gasnier, Michael Ennis, Corey Parker, Justin Hodges and Braith Anasta will feature alongside FOX League presenter Megan Barnard to guide viewers throughout the night. Thursday nights from 10.00pm, after the footy. NRL fans will have more Matty in 2017 with Matty Johns and his regular team of Gorden Tallis, Nathan Hindmarsh, Bryan Fletcher and The Professor teaming up for The Late Show with Matty Johns each Thursday night after for a preview of the weekend’s footy. Viewers can kick their weekend off early with a raucous mix of jokes, banter, pranks and leftfield analysis. FOX League will be the destination for NRL fans seeking their Friday night footy fix, with double the action every week. FOX League will be the only place to catch the weekend’s opening double-header, with host Matt Shirvington joined by a rotating panel of experts, including Mark Gasnier, Kevin Walters, Justin Hodges, Braith Anasta and Steve Roach to preview and review the action, while Megan Barnard delivers the latest news throughout the night. It all kicks off at 5.30pm, with the first game of the night Exclusive to FOX League, before a prime-time blockbuster launches at 8.00pm. The breakout star from Monday Night with Matty Johns, James ‘The Professor’ Rochford, is back in 2017 with a brand new show of his own. The Professor’s Second Year Syndrome will be satire at its sharpest, poking harmless fun at the game, clubs and players we all love. The Professor will be joined by Rugby League great Brett Finch, Triple M’s Chris Page, plus special guests each week. FOX League’s biggest day of NRL action returns in 2017, with up to three Live, ad-break free during play and Exclusive games back-to-back on Super Saturday. Matt Shirvington will host the opening match Live from the ground, before Yvonne Sampson takes the reigns from FOX League HQ. League legend Greg Alexander, plus a rotation of experts, will be on hand to offer their expert insight and analysis. Jess Yates steps into the hosting chair on Sundays alongside Braith Anasta, Michael Ennis and Lara Pitt to deliver a Live, ad-break free during play and High Definition double-header on Sunday Ticket. There’s no place like home on a Sunday, and the team will guide viewers through both games as they kick-back, relax and settle into a leisurely afternoon of Rugby League action. Hosted by one of Australia’s most respected television sports journalists, Tim Sheridan, League Legends is a series of insightful one-on-one, in- depth interviews with some of the biggest names to have ever played the game. Nothing is off limits in this revealing new series which delves deep into the lives and stories of Australia’s greatest Rugby League players, detailing the highs and lows of their careers both on and off the field. Some of the legends set to feature on the premiere season include Noel Kelly, Chris Close, Mal Meninga, Max Krilich, Mike Cleary, and Tom Raudonikis. ” We’ve listened to fans and responded to their desire ” Foxtel must have selected hearing what about the cries to drop the HD surcharge?